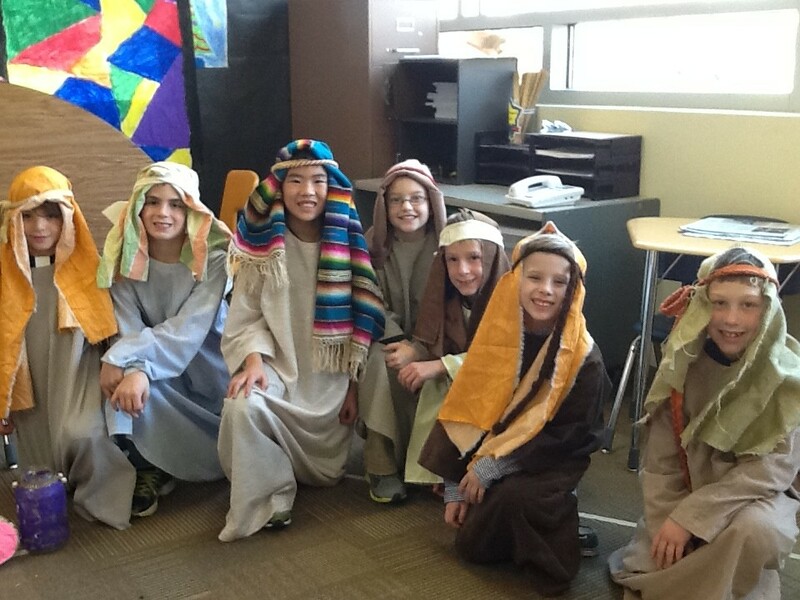 Mrs. Leishman’s Voyager Readers performed The Best Christmas Pageant Ever play by Barbara Robinson. Parents, family, friends, Kindergarten- 6th graders, teachers, and support staff were in attendance. This is a fun tradition that has been happening for at least 13 years. This year we collected canned goods for the food pantry. This entry was posted in Uncategorized on December 20, 2013 by Jennifer Gepson. Aunna Raye Morford collected over 90 coats, along with hats, gloves and boots for the Salvation Army. The items were collected from the high school and elementary schools during the month of December. Thank you to all who donated! 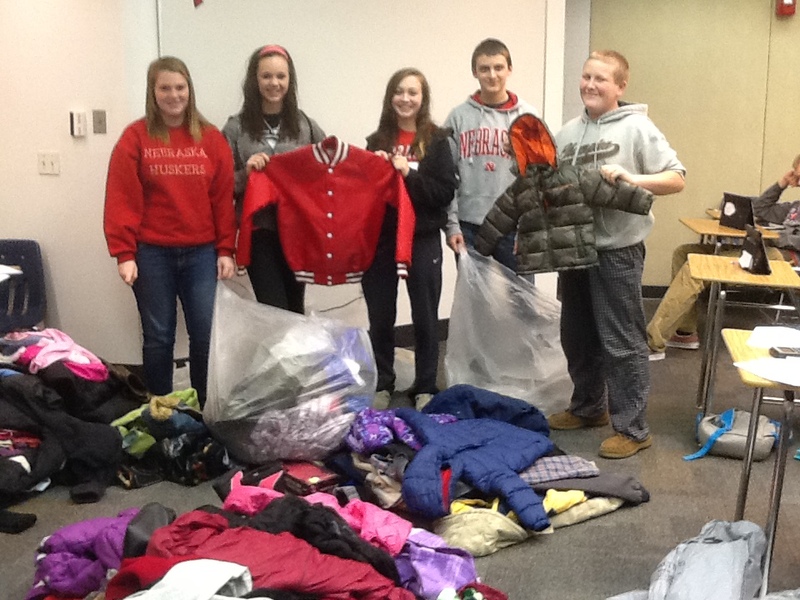 Pictured are Sam Kirby, Aunna Raye Morford, Paige Johnson, Nick Johnson and Caleb Grosse-Rhode helping to count coats. 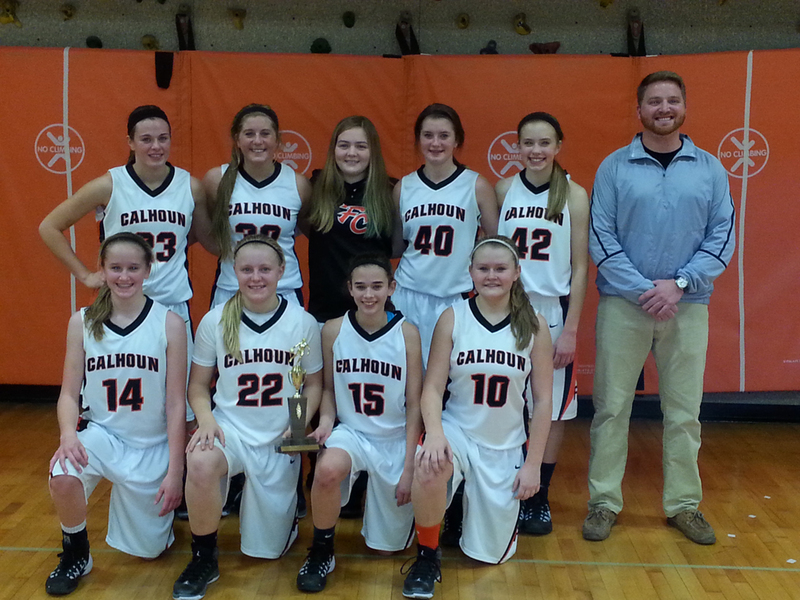 Congratulations to our girl’s Reserve Basketball team for winning the Oakland Craig tournament. Results were as follows-game one against Howells-Dodge 42-25, Game 2 against Oakland-Craig 36-28 and Championship game on Monday Dec 16th, we beat West-Point Beamer 47-17. Tessa Dethlefs, Lauren Nelson, Hanna Lazure, Dacey Boudle and Asst. Coach JJ Shields. This entry was posted in Uncategorized on December 19, 2013 by Jennifer Gepson. Every Tuesday, Wednesday, and Thursday mornings, the elementary students are able to participate in Walk & Talk. During this time, the kids are able to move their bodies to some of their favorite songs such as the Cupid Shuffle, Cotton Eyed Joe, and the popular Continental Drift. 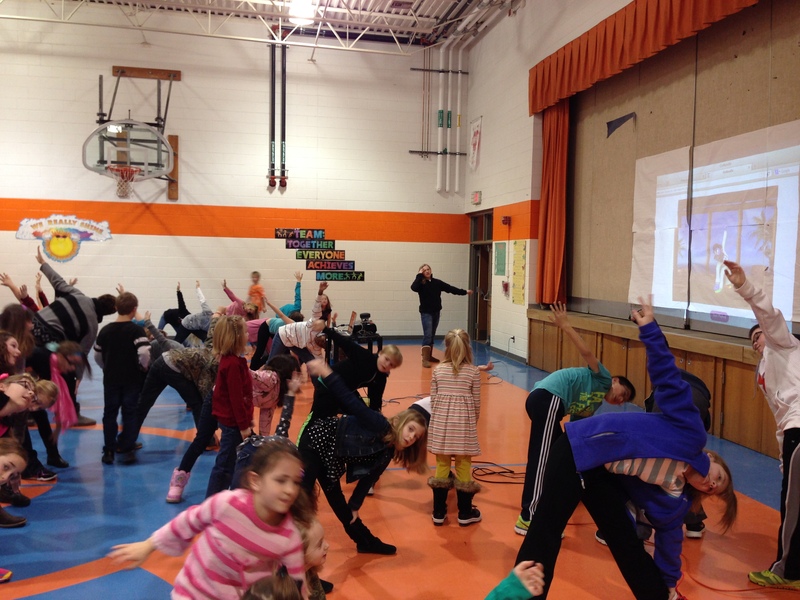 Recently, Walk and Talkers have been able to try out new ways to wake up their bodies by doing yoga and Zumba! 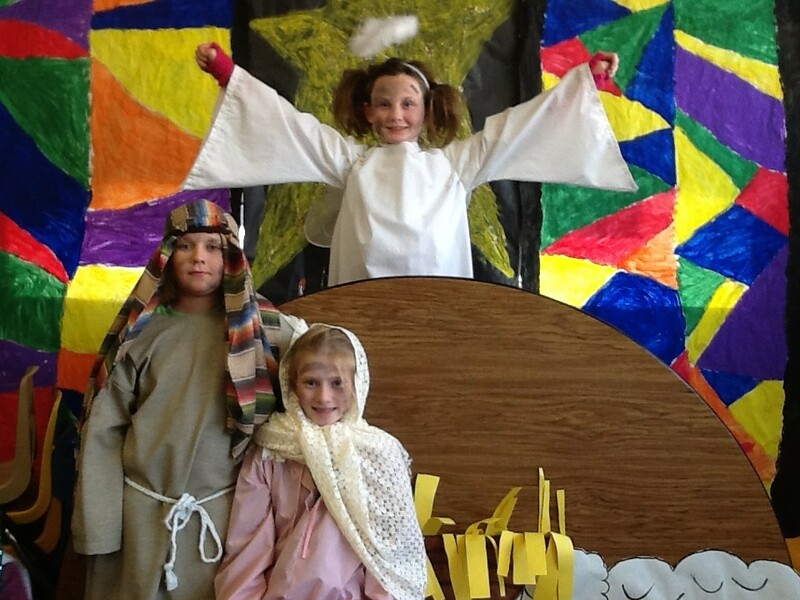 This entry was posted in Uncategorized on December 16, 2013 by Jennifer Gepson. Aunna Raye Morford and Mrs. Shields are collecting coats for the Salvation Army. The coat drive will run from December 2 to December 20. 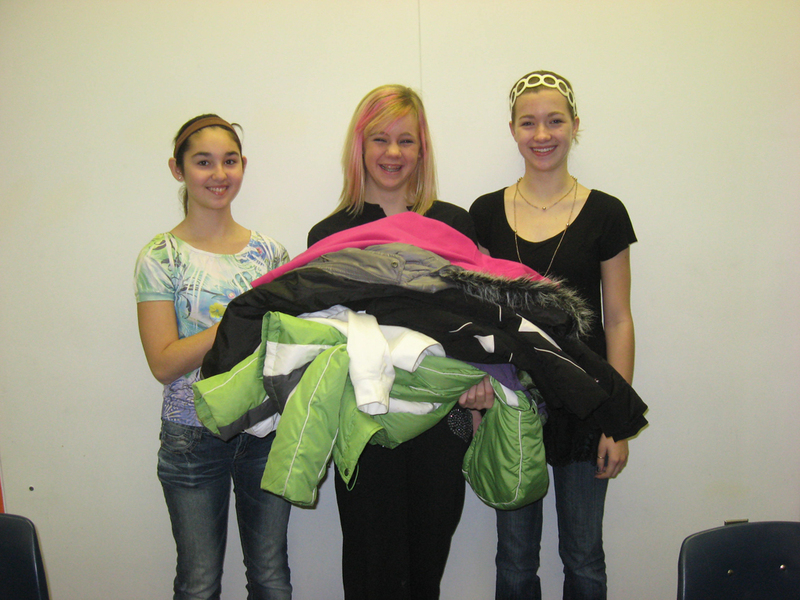 If you have any coats, hats or gloves that you would like to donate, please bring them to Mrs. Shields’ room. Winter gear will also be collected at the elementary. Please help someone less fortunate than you stay warm this winter. This entry was posted in Uncategorized on December 3, 2013 by Jennifer Gepson. 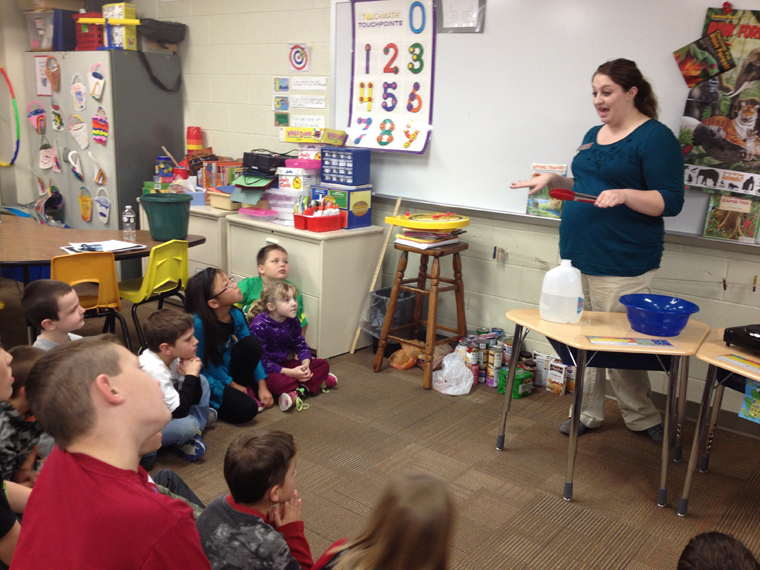 Mrs. Benoit’s 2nd grade enjoyed Mrs. JoAnn Jensen from the UNL Extension Office’s visit in November. She taught them how they can learn about science in the kitchen. They learned about how to crush a can using heat and water (pressure) and other experiments that can be done in the kitchen with their parents help. 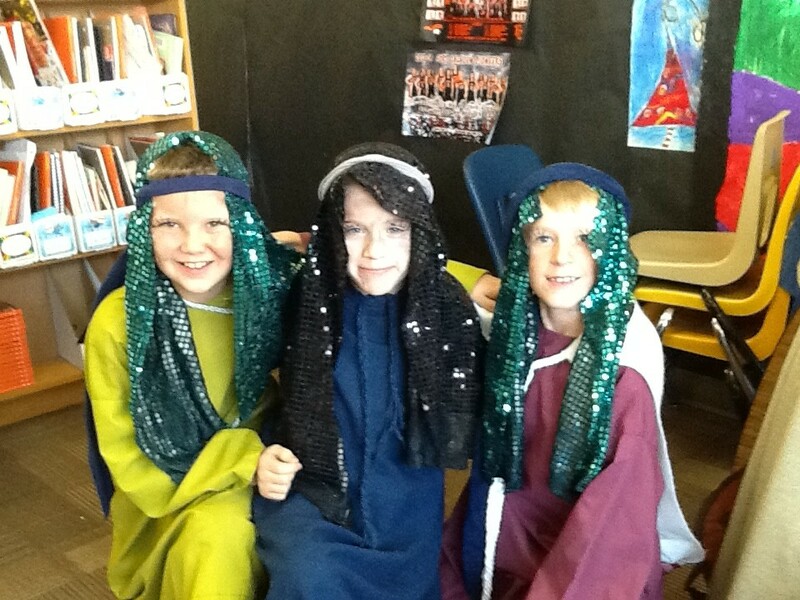 The Extension Office in Blair offers great learning opportunities! This entry was posted in Uncategorized on December 2, 2013 by Jennifer Gepson. 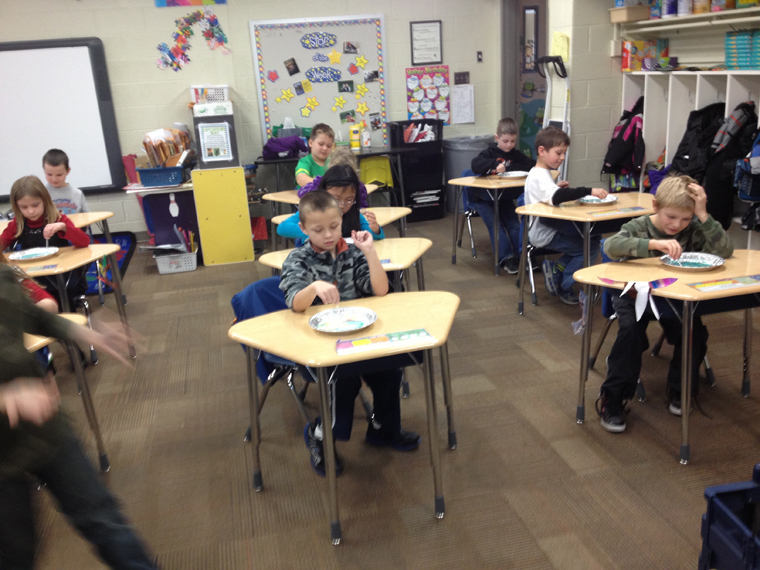 The Fort Calhoun Elementary Annual “Jeans for Food” drive was held again this year. 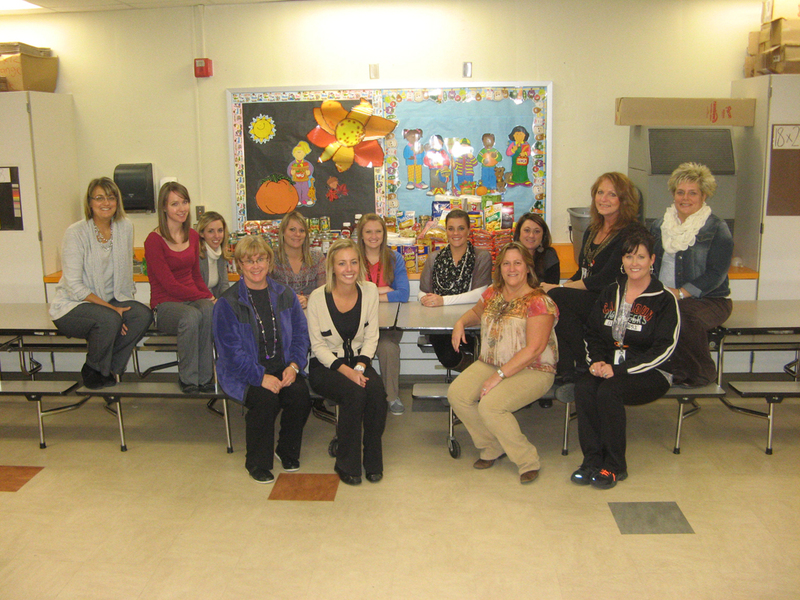 Staff at FC elementary are allowed to wear jeans to school on Fridays in November if they bring in 5 canned food items. One of the Friday’s was specifically earmarked for a cash donation to the Washington County Food Bank. We raised over $300 at the elementary alone. 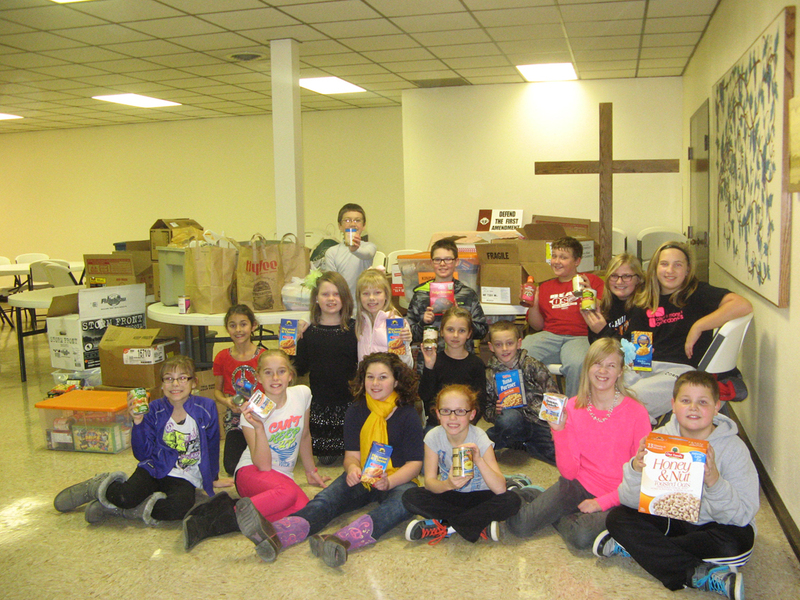 In conjunction with the staff food drive, the elementary Student Council sponsored a school wide food drive. This year was an amazing year. With both donations combined we collected 2,850 food and toiletry items. That is approximately 1,000 items more than last year. 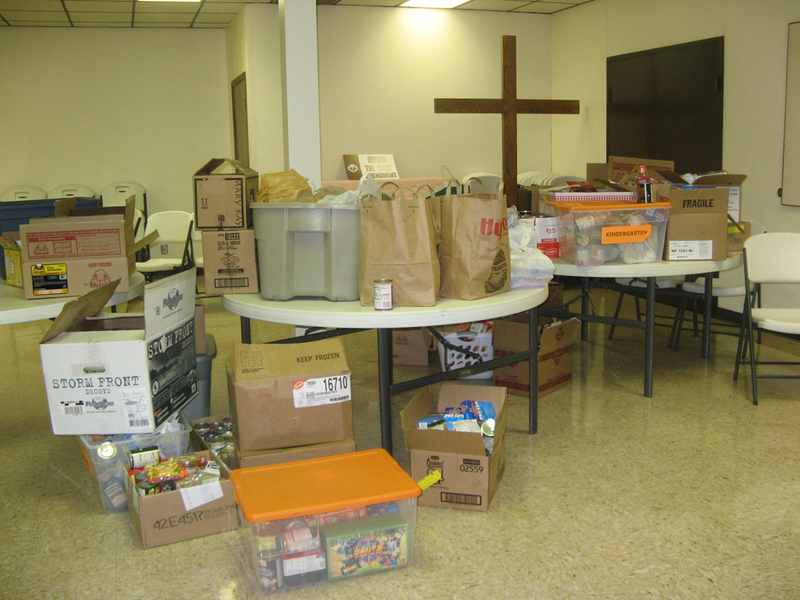 The donations collected will be donated to the St. John’s Catholic Church food pantry in Fort Calhoun.